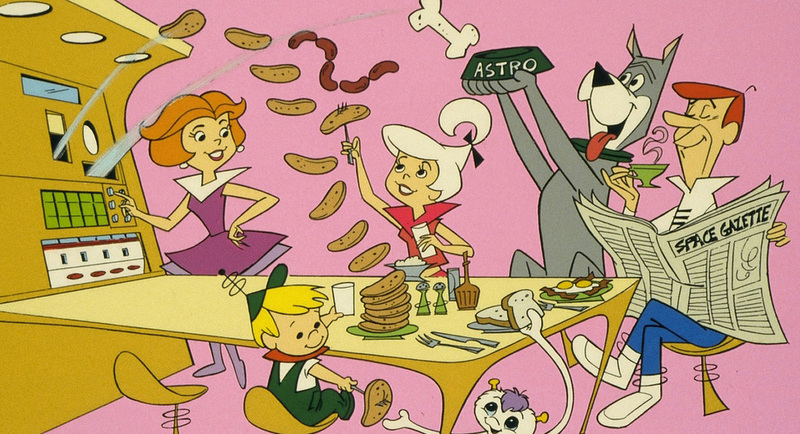 If you are from the 90s, you must have seen ‘Jetsons’ – a cartoon way ahead of its time, where there were smart robots and things doing the daily chores. It got us excited and made us wonder if this can be a reality. Well, my friend, we have reached a position where we have a smart home with numerous ‘things’ connected to each other. 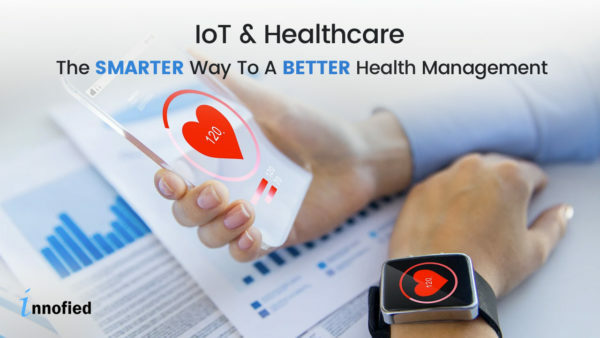 Be its temperature control, security, smart lighting, cooking, air pollution control or anything else – an IoT smart home app development can take care of it. Take AWAIR for example. It’s a cute and small radio device. The look can be deceptive as the device is a sensitive tool that measures air quality. And tells you the number of allergens, humidity, present temperature and CO2 content as well. With these data, you can change things to sleep better, breathe clean, sneeze less and hence… live a better life! I bet everyone dreams of a home like this where they feel safe, clean and cozy. Nothing beats the feeling of how a basic smart home functions. This is probably the reason why there is a high surge in making our homes smart. This example of smart home app development is one of its kind. 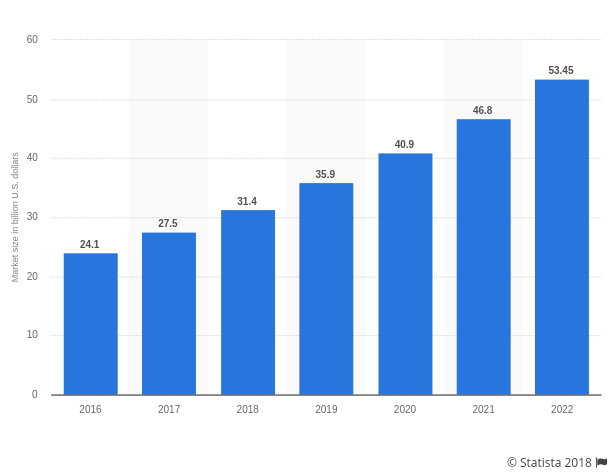 The graph above clearly depicts the growing market size for smart homes. It is quite clear that the users like to get notifications about the changes occurring in their home. And monitor them even when they are miles away on their mobile. It is no wonder why startups and enterprises are investing in smart home app development solution. So is the adoption of Internet of Things already captured the smart home consumers? But to take the plunge in developing home automation applications, you need to understand the home automation and smart things first. IoT is Bringing The Smart Home Revolution – Happy Homeowners! 7 years after the introduction of Nest – the first smart thermostat which fueled the concept of smart home- the present day smart home market is bigger and promising. The promise made by Nest was big which created a much bigger hype. It made homes the breeding ground for the Internet of Things innovations. And Kohler took it to the next level with their Smart Toilet! We have now internet connected home security cameras, smart kitchen appliances which talk, smart lighting with sensors and lot more. And guess what- these are no more luxuries. Startups from all over the world have made a smart home affordable and available with smart home apps and IoT devices. But before you plan to build a smart home app, let’s a try understand how they help us. Internet of Things can give you maximum economical benefits if implemented right. How? Wit IoT enabled homes, you end up using energy in specific areas at a specific time. If you leave your house, the IoT system enabled with sensors will switch to minimal heating and electric usage mode. In the same way, you can save in the air conditioning usage. As soon as you leave your room, the smart AC will sense your movement and reduce/adjust the temperature. Also, you can monitor your AC and the lighting system right from your app, to send the signal that you’re reaching home. Conventional homes have many issues and the most difficult to deal with is security. Increasing theft and security breaches these days demand a safer home. Even with a security guard, it is not impossible. But guess what, IoT enabled smart home app can save you from any menacing situations. With security cameras and sensors placed at the required places at your home, you control, track and check the system remotely. For instance, if someone tries to sneak through your boundary, your home automation sensor can immediately detect it and notify on the app. Which means you have the control on your home security with enough proof (for legal purposes). As discussed above, smart homes offer an unconventional security and safety. Along with that, smart homes adds a whole new level of comfort. For instance, if you are listening to your favorite music in a room and have work in your kitchen- you can simply control that on your app. No need to carry your music device! How convenient is that? But how does it work? With a multi-room feature in smart home apps, you can place speakers in every room you want. And every speaker will be connected to your app. As the smart speaker device senses your presence, it will play the music of your choice through RFID technology and WSN (wireless sensor networks). It gives you complete control over your smart home app. There are unlimited possibilities when it comes to smart IoT smart homes. Having said that, these possibilities are not yet explored completely. The present situation gives you the control over your home using a smartphone app. 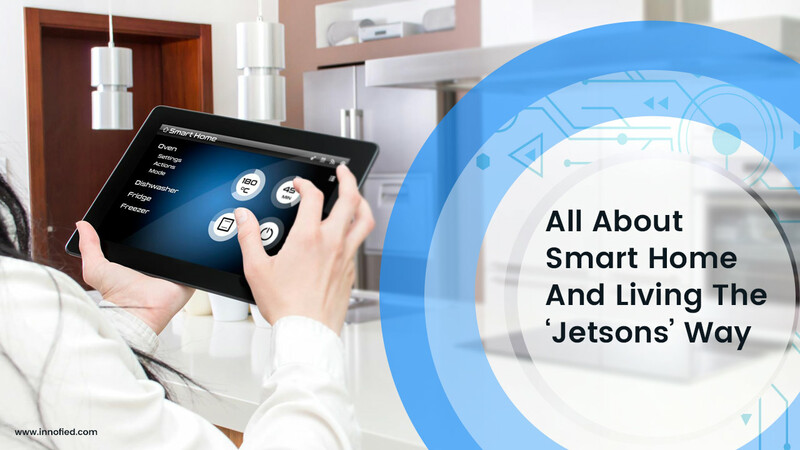 Now, if you are looking for smart home app development ideas, there can be a single purpose app, a multi-purpose smart home app or a complete hub to control your place. Let’s try to define the challenges and scope with each of the smart home app development options. Single usage smart home apps, as the name, suggests with control a single device, for a single requirement. For example, if you are choosing the smart home music player app, it will connect you with all the speakers placed in every room. And play according to your convenience- wherever you are. Also, if you are developing a smart kitchen app for homes or your lightings, it will single-handedly control the designated device. If you want to cater those tech-savvy millennials, who are really into smart homes, you can go for multi-purpose smart home app development. It will control lighting, kitchen appliances, music systems, security and what not! With the right network of smart devices, you can achieve the optimum results. 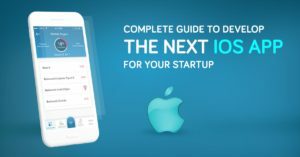 Kickstart your IoT Smart Home app idea with us! 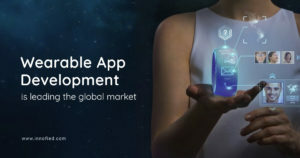 Now as you know the types of smart home app development and their benefits, let’s explore what it takes to create such intelligent apps. To begin with, it’s important to understand the problems a user faces. And to solve those real challenges, you too have to plan your connected home idea accordingly. Let us together try to devise a plan that helps you create a smart home app. Before that, you must understand what features can make your smart home app. Devising the control with an app – As your device and app will connect to the internet, make sure your app integrates to the wifi or internet hardware. It is the major feature of your smart home app. Make sure it works wirelessly. Sending push notifications – Be it about the water heating system, security breach or adjusting the light, the app must send push notification right on time. Accessing user configuration – The main user of the home should have the admin rights, for which you need to set up the access configuration. This way, the home automation would have the right use access and hence fewer mistakes. Making your app accessible – Your smart home app development should be made to work leading mobile operating systems and web versions as well. Also, what are your goals? – the smart home app development should aim towards the type of app you are developing. Single or multiple usages- make sure you are solving an actual problem. After this overwhelming information, you must be wondering how much will it cost to develop a smart home app. Your query is not overwhelming though! To develop your own smart home app, you need to understand the requirements, your goal and the number of devices you want to connect. You will find many IoT solution for smart home that can be integrated for commercial purposes. But if you want to develop a home automation application, you need a different set up. And hence a different cost. So, logically, you need to build an app software that will connect with all the smart devices you have. A network will bind every element to work seamlessly. And the more devices you connect, you will need a robust platform and hence a higher price. So the cost to build an all in one smart home app would vary from $10,000 to $20,000 USD. And if you need to develop a smart home app for a single purpose – like home automation security system – the cost will be lower. So the best way to calculate the cost of app for smart home is to talk to a certified smart things developer. For any app you develop, it’s important to create an MVP and launch it. This will give you the idea of how users are taking your app idea. You can just launch your app with a minimal idea that may consist of the main feature of your app. Depending upon the type of response you get, make changes and alterations. You can easily get started with your smart home app development MVP reading this guide! The push of smart home apps is evident. There are many startups developing intelligent solutions to transform traditional homes into smart homes. They are pushing the limits and creating new possibilities every day. Think you can get ahead of them? We can do this together. Let’s put our best foot forward to create an outstanding smart home app and solve the burning issues.